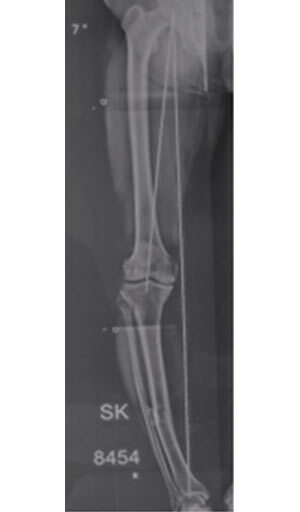 This 50 year old doctor had fracture of leg bone 30 years earlier, which healed in deformed position. This lead to gradual degeneration of inside of his knee, and the knee became painful. He visited various doctors, who advised him knee replacement. 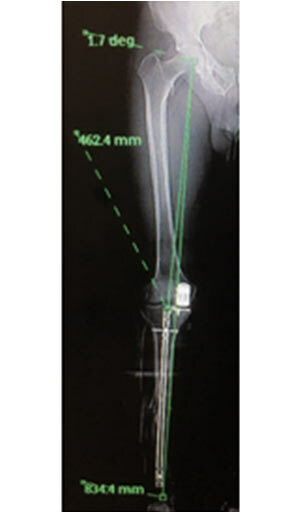 Considering that only a part of his knee (inner side) was damaged and the reason was deformity of the leg, we decided to look at both the issues at the same time - the deformity correction as well as repair the damaged part of the knee by capping it (partial replacement). He did well.